We accept most insurance plans and for patient convenience, we bill the insurance company directly. For those who do not have insurance, we customize payment plans. 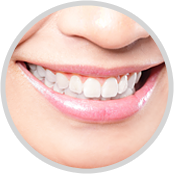 Since 1971, Peel Dental Care has helped patients enjoy good oral health and wellbeing. Every day, we serve children, adults, and seniors with excellent care. What's more, many of the people we see have been patients for years, and we have established relationships with them. Having these established relationships has allowed us to deliver personal care tailored around our patients' exact needs. When you come to see us, you'll enjoy care that helps you improve your oral health and wellbeing, in an office that engenders comfort and trust in our dentists. Because we take the time to get to know our patients, we can offer excellent, personalized care. During any visit with us, we'll complete an oral exam and explain all your treatment options. If you have any questions about what we recommend, our doctors will be happy to answer your them and address any concerns you have. Call our Brampton dental office to schedule an appointment with our dental team. 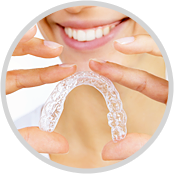 We offer general, cosmetic, and restorative services to families from Mississauga, Brampton, Bramalea and all surrounding areas. 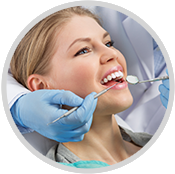 To give our patients from Brampton and beyond the best possible care, our dentists offer a comprehensive range of services to meet a broad range of needs. Some of those needs will center on basic general dental needs while others might be looking for help with cosmetic or restorative care. 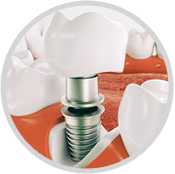 For instance, to help patients who have missing or damaged teeth, we offer dental implants. 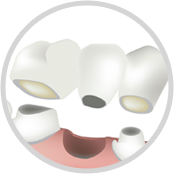 No other restorative procedure can give patients the results that are possible with dental implants. What's more, we're happy to complete both phases of treatment in our own office, without referring you to someone else. 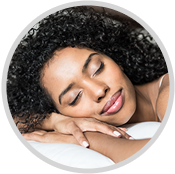 When you come to our Brampton dental office, you can look forward to receiving restorative care that takes your needs seriously. Whether we're planning care for cavities, diagnosing gum disease, or planning a tooth replacement procedure with dental implants, we will always begin by thoroughly examining your smile and talking to you about your medical history and your long-term goals for your smile. Every year, many patients avoid important dental care because of anxiety. Often, anxiety comes from bad experiences in the past. But seeing a dentist shouldn't be a stressful experience. 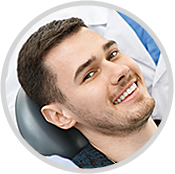 At Peel Dental Care, our goal is to help patients overcome anxiety and have a comfortable experience that changes perceptions about dental care when you come to our Brampton office for a consultation. You might be having a dental emergency when you are experiencing extreme distress, whether from a trauma, an infection or simply a bite that went completely wrong. You may have lost a filling, a crown or a veneer. In case there is an unexpected emergency, don’t hesitate to contact our dental office to make plans for a same-day appointment. 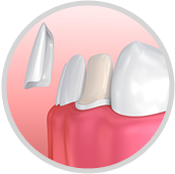 If you’re uncertain what indicates a dental emergency situation, please ask us. We would rather hear from you and inform you that an urgent visit is not required rather then not learn about your situation.